Will the real Jason Kenney please stand up? If not country, then what would be on #KenneysPlaylist? Albertans, including Rachel Notley, took the opportunity to make recommendations about the music that should be on #KenneysPlaylist. 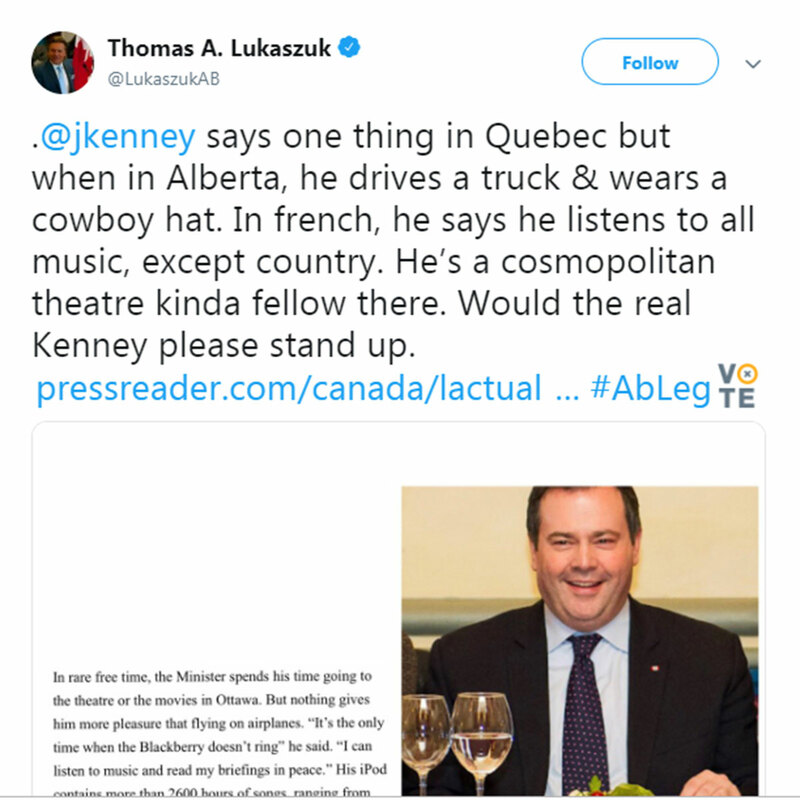 Jason Kenney wants you to believe that he is a true farm kid - but what Albertan doesn’t listen to Dixie Chicks and Garth Brooks? In seriousness, Jason Kenney likes to act like a chameleon. His opinions and tastes change depending on who his audience is. When in Toronto, he told his conservative friends that Ontario is the “heart of Canada’s economy". For nearly two decades Mr. Kenney had the opportunity to advocate for a pipeline for Alberta, but says it wasn’t his responsibility. His own government wrote the equalization formula that he is now promising to fight. Jason Kenney has promised he won’t introduce private health care but his party’s policy states just the opposite. In the Kamikaze scandal, all roads point to Jason Kenney.